This incredibly amazing spot is located in the downtown Tulsa in Oklahoma. Well, there’s nothing much to look, but wait till you hear what it does. Despite the fact that it defies the laws of physics in terms of sound and reflection, there’s still not a correct explanation of this phenomenon. 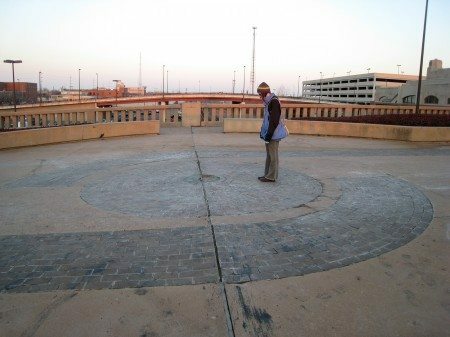 The “Center of the Universe” accounts for an acoustic anomaly and is made up of concrete inside an even bigger circle made up of 13 bricks. 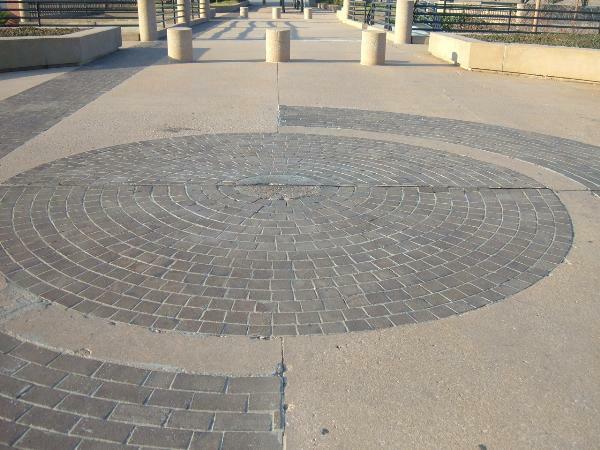 Located in the heart of the downtown Tulsa, the ‘centre of the universe’ is nothing but a small circle of about 30 inches in diameter made of worn out concrete. This is in turn surrounded by one more circle which is made up of 13 bricks and so on. Altogether it adds up to 8 feet in diameter. When you stand inside the concrete circle and make a noise, the noise is echoed back and is heard much louder than the original one. But it is inaudible to anyone outside the circle. You might go making a sound while standing inside the circle and you will hear not only the echo of your sound but an intensified one, much louder than the one you made. This itself is amazing since there is nothing big present there that might reflect your voice. But more is coming! Anyone standing outside that circle cannot hear anything. It’s only the person standing inside the concrete circle that will hear the echo. Not only the effects resides inside the circle, but outside too. The Voice of a person standing outside of the circle also becomes distorted when heard across the circle. 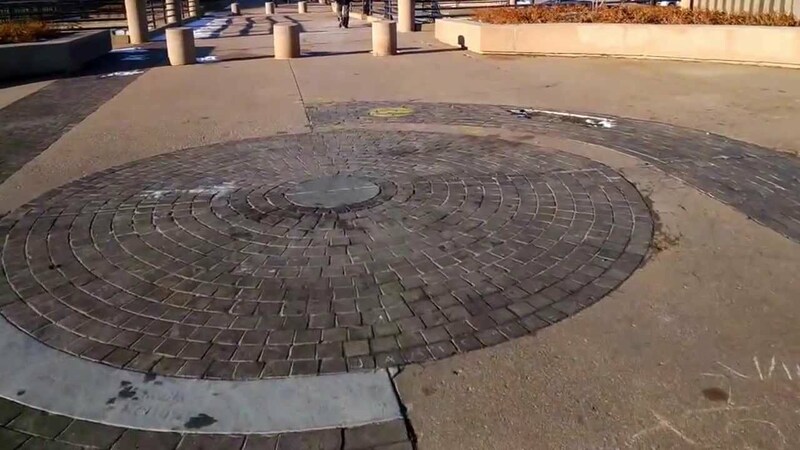 If you try talking to a person while standing outside the concrete circle, the voice heard will be distorted and unclear. The sonic effects that play with the sounds still exist outside the circle. Many people have been studying this and come up with something that might explain this. It might be possible that the distortion of the sound is a result of parabolic reflectivity of the circular planter walls that partly surround the circle. This circle was built in the 80’s when the span of a bridge had to be rebuilt after a fire. It has been known to be the centre of the universe and some believe it as a vortex where all cosmic energies meet, giving it the effect it possesses. The acoustic anomaly of this circle has come up with many explanations. Some people believe that it is a vortex where all the cosmic energies meet. But there has been no clear consensus of what is causing it. Or maybe the ghosts of a parallel universe are toying with us. But truly, these effects are marvellous. You might drop a drop a small pin inside the circle on the concrete surface and expect to hear just a ‘clink’. But what you might hear is a loud crash! This could be a place worth visiting and experiencing. It is located in the north-west of the Oklahoma Jazz Hall of Fame and it relatively easy to find. He Was 16 When Nagasaki Was Bombed; These Photos Of Nagasaki Survivor Will Shock You To Your Very Core. Cross View Illusions Allow You To See An Image In 3D, Without The Glasses! It’s Magic; Go See For Yourself! Did A Floating City Really Appear In China? You Have To See It To Believe It! 16 Unbelievable Photos That Are Hard To Believe Aren’t Photoshopped.